Finding a work partner who shares my belief that memories build happiness and resilience after loss. After I graduated college, and for the next twenty years, I worked as a television news producer in New York. Never would I have imagined a career transition into writing full-time, yet the early deaths of my parents (my mother died when she was 56, my father passed away when he was 63) pushed me into unanticipated terrain. My sorrow drove me to write. And giving myself time to investigate subjects that were increasingly important to me (cancer prevention and preventative surgery because both my parents died of cancer) made me happier. It also propelled me into writing books about grief and the unobvious ways embracing the past helps individuals and families thrive. Grief experts have long argued that sustaining connections to loved ones is essential for moving forward. This concrete roadmap for healing is what gave me the idea for Passed and Present: Keeping Memories of Loved Ones Alive, and it’s why I’m relishing my decision to become Executive Family & Memories Editor for a company I really adore. It’s called Legacy Republic. I’m hooked on Legacy Republic because its mission is making fun, social experiences out of digitizing memories. I steadfastly believe keeping the memory of loved ones alive builds happiness and resilience after loss. It’s what I wrote about for O, the Oprah Magazine, the launch of Sheryl Sandberg’s Option B, and it’s the focus of my grief and resilience blog. No other company embraces this idea more than LR. Its very mission is making memory-preservation an uplifting experience to be shared with friends, family, and neighbors — both in person and online. If you’ve ever been to a party where the goal was hanging out with neighbors while buying kitchen gadgets, you have a pretty good idea how Legacy Republic works. 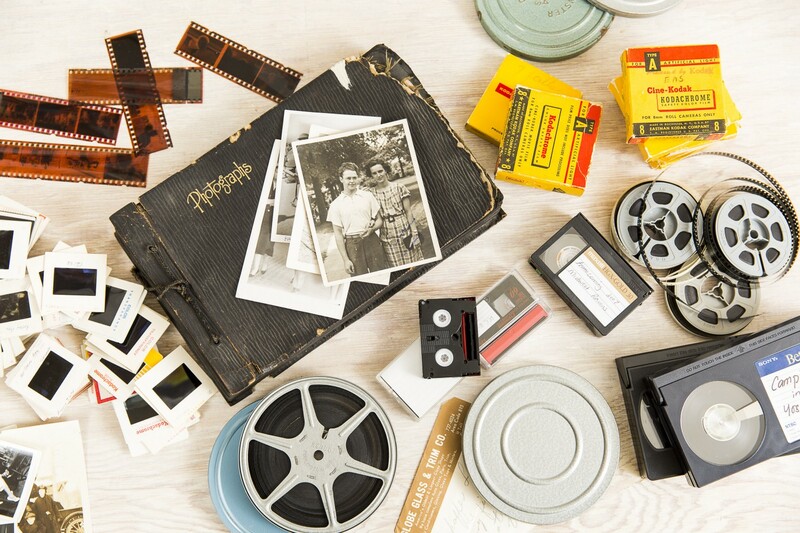 A Legacy Republic representative comes to your home to make one-stop shopping out of digitizing film, video, photos, slides, even entire scrapbooks and albums. The consultant walks participants through the process, packages up their pictures and other media, and sends them to its facilities in California or Georgia. I found the process entertaining and casual — friends got to eat and hang out while the adviser peeled us off one by one to discuss our options and place our order. Three weeks after my gathering, Legacy Republic provided a link to a private online account where all my information is stored. I can log in, drag my cursor to a section of video I like, mark beginning and end points, and upload the snippet directly to Facebook. I also got my original material back, along with a DVD. At this exhilarating inflection point in my career, I’m reminded of what Gandhi has said: “Happiness is when what you think, what you say, and what you do are in harmony.” Yes! I’m so there.